SKU: 339. Category: Hospitals & Nursing Homes. Rainbow is a sweet and colourful floral treat of one of the most popular flowers available today – gerberas! 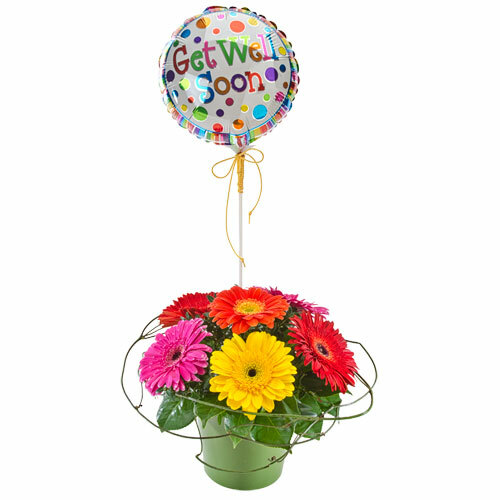 Present in a moss green ceramic container, and delivered with a “Get Well” balloon, this will soon put a spring in the step!